As the stigma fades, a variety of methods are becoming more accessible to the population. Smoking cannabis has been the go-to method for generations due to its convenience during prohibition. Now, as the laws are being lifted and convenience is less of a factor, it’s time to weigh the pros and cons between mediums and apparatuses. So what do the experts suggest? Many doctors stand by vaporizers as the ideal method of consuming marijuana. In fact, in Israel, where medical marijuana is legal, vaporizers can be found in hospitals and senior homes. The popular Volcano Medic Vaporizer is also an approved medical device in Canada and the EU. The effect of vaporizing on the lungs is perhaps the strongest argument for using a vaporizer. Doctors have long been wary about the use of marijuana as a medicine because of the potential risks of smoking anything. While it’s true that smoking marijuana has not been proven to cause lung cancer, the combustion of marijuana still produces several known carcinogens and tar, which can irritate the lungs and lead to chronic bronchitis. Vaporizers were mainly designed to overcome this issue. By heating marijuana at a lower temperature than combustion, the devices produce an inhalable vapor that still contains the active medical ingredients in marijuana (cannabinoids), but without the harmful by-products. Vaporizing cannabis is said to remove approximately 95% of the smoke that is inhaled. What’s more, vaporizing has been suggested to increase the yield of anti-inflammatory terpenoids that protect the lungs from irritation. Research also suggests that switching to a vaporizer can reverse respiratory symptoms caused by traditional methods of cannabis intake. Another advantage of vaporizers is the efficiency of converting plant matter into active cannabinoids. A collaborative study conducted by California NORML and MAPS found that vaporizers could convert 46% of available THC into vapor, whereas the average marijuana joint converted less than 25% of THC. Likewise, patients ranked vaporizers as the most efficient method of marijuana intake – requiring a lower dose than smoking, edibles and tea – in a recent study published in the Journal of Psychoactive Drugs. So while vaporizers may be seen as a luxury to some, even the most thrifty marijuana users have realized that the higher efficiency of these devices can eventually offset their initial cost. In the same patient study, vaporizers ranked highest in side effect satisfaction, meaning that patients felt most functional after vaporizing cannabis. 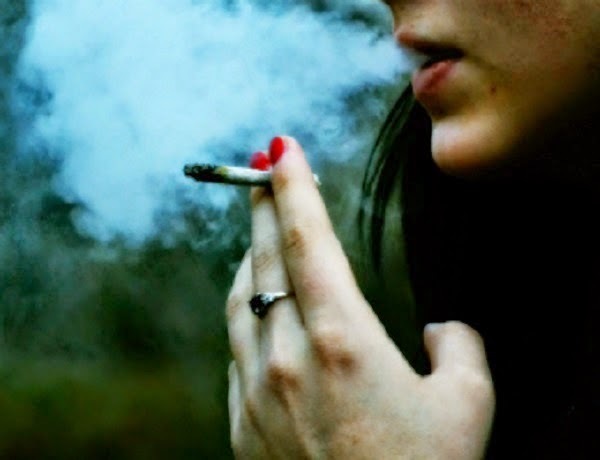 While the study did not investigate specific side effects, some say that vaporizers produce a more clear-headed ‘high’ due to the lack of smoke inhaled. Cannabis vapor can also be inhaled in short and shallow puffs, whereas other smoking devices may require taking deeper and larger breaths, which can be uncomfortable for novice marijuana users. Of course, how one reacts to marijuana differs widely from person to person, so vaporizers may not be ideal for everyone. Ultimately, consulting with a healthcare professional and careful experimentation is the best way to figure out what method of marijuana intake is best for you.